Hailed as a “giant among men” in Malaysia, Tan Sri Zakri Abdul Hamid has played an important role in building a strong foundation for biodiversity governance in Malaysia and promoting biodiversity conservation internationally. He is a professor who is actively involved in national strategies to promote the conservation and sustainable use of biodiversity. He was the architect of the first National Policy on Biological Diversity launched by the Government of Malaysia in 1998. Prof. Zakri was also instrumental in laying the framework for an “Access and Benefit-sharing of genetic resources” mechanism in Malaysia when he was Chair of the National Task Force in 1998. A national government official who has demonstrated strong leadership in the discussions of biodiversity in the national and global arenas, Prof. Zakri is called by Salvatore Aricò, Head of the Ocean Science Section of UNESCO’s Intergovernmental Oceanographic Commission, as one of the founding fathers of the United Nations Convention on Biological Diversity (CBD). Prof. Zakri was one of the original members of the Malaysian delegation negotiating the CBD from 1990 to 1992. He was also one of the leading spokesmen of developing countries in the negotiating sessions. He provided the original draft language that was later enshrined in Article 15.3 of the CBD on the issue of genetic manipulation. After the Convention was opened for signature at the Earth Summit in Rio de Janeiro in 1992 and its subsequent entry into force in 1993, Prof. Zakri led the Malaysian delegation in various meetings of the CBD and was appointed chair of several working groups. He was elected Chair of the Subsidiary Body on Scientific, Technical and Technological Advice (SBSTTA) from 1997 to 1998 – the first Asian to hold the coveted post. Prof. Zakri is also known as a biodiversity specialist whose research, analysis, and presentation of biodiversity information and related scientific data has provided crucial support to biodiversity initiatives. From 2000 to 2005, he co-chaired with Sir Robert Watson, the board of the landmark UN Millennium Ecosystem Assessment (MA). It is one of the world’s largest-ever scientific collaborations involving over 2,000 leading scientists in a comprehensive synthesis and analysis of the state of the Earth’s ecosystems. The MA was a groundbreaking scientific assessment to understand ecosystems and their services, the drivers of ecosystem changes, and the consequences of ecosystem changes for human well-being. Prof. Zakri was also the driving force behind the Intergovernmental Platform on Biodiversity and Ecosystem Services (IPBES), an independent intergovernmental body established to bridge the gap between scientists and policymakers, providing up to date, accurate, impartial data and scientific information to enable the formulation of better policy response in managing biodiversity. He was elected founding chair in 2013. 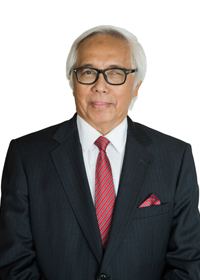 In 2013, Prof. Zakri was appointed by UN Secretary-General Ban Ki-Moon as one of the 26 eminent scientists in his inaugural Scientific Advisory Board (SAB). Today, Prof. Zakri is Science Advisor to the Prime Minister of Malaysia. He advises him on all matters relating to science, technology, and innovation. He advocates robust scientific development as a central ingredient in nation building. He has received numerous awards for his efforts in conservation. In 2014, Prof. Zakri was awarded the prestigious Zayed International Prize for the Environment for his role in providing global leadership in the field of environment. In 2015, he received the prestigious Merdeka Award.